For those interested in going beyond the theme of places that loom large in our family stories to the theme of how these places fit into a larger human history, this might just be the book for you. 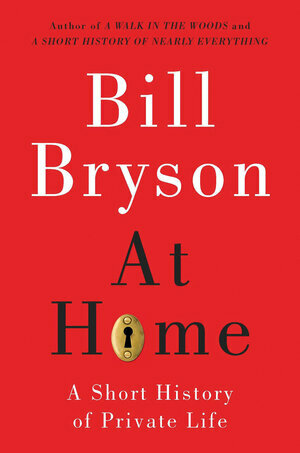 Bill Bryson’s At Home: A Short History of Private Life was published in 2010 and reviewed by the New York Times and the Washington Post. Bryson was also interviewed about it on NPR’s Morning Edition, where you can also find a link to an excerpt from the book. I must admit – I have not personally read this book, but it has been recommended to me by many people and it is definitely on my list. Let me know how you liked it and/or if you have any other recommendations on the topic!